Drishya is currently listening to more scripts and hoping to do roles that she believes is apt for her. She adds: “We are done with the shooting, in fact, the entire movie was shot in about 28 days. What I am most excited about is that I got to be a part of Revathy Kalamandir, which is huge. My role in Happy Wedding was not a big one. I did not have a screen presence throughout, despite that, the fact that I got an offer like this is still a surprise for me. Moreover, I felt that this particular banner gives a lot of respect to female actors and it was a great experience. I could feel the professionalism in the kind of work they do. They made me feel like I am finally an actor.” Speaking more about the movie she says, “Even though comedy is the base of the movie, it touches every aspect of our life.” Her foray into acting was accidental. “Acting just happened to me, I had no such intentions when I went to the sets of Happy Wedding. I was in class 11 at that time and was not at all mature. It was also my first time performing,” says Drishya, who just finished school and is hunting for colleges. Drishya is all praise for Shivaram. She says, “While Happy Wedding was like a bunch of friends taking a movie, this one was different. 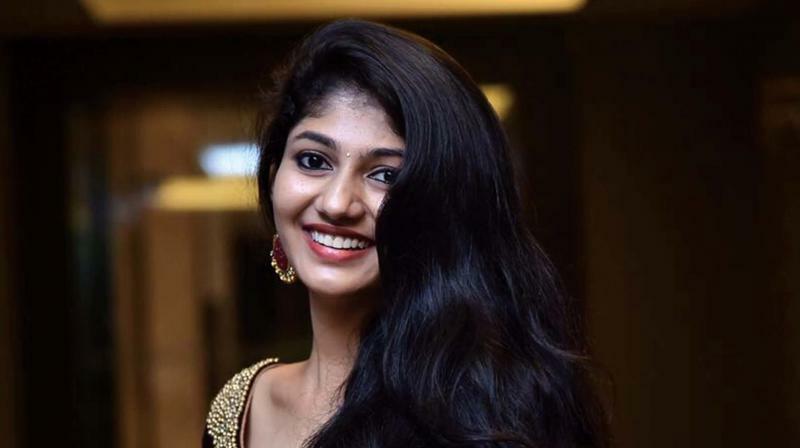 I was quite worried about pulling off this role but the minute Shivettan said action, we could feel his energy and that inspired me to give my 100 percent to the character.” Drishya is currently listening to more scripts and hoping to do roles that she believes is apt for her.